Kaci Boyd Isaac- Bunnie, beloved son of Leon Bunnie and Dayna Isaac, came into this world for 1 day and passed away peacefully, surrounded by family on Thursday, February 1, 2019. Kaci is predeceased by his grandparents Danny Lerat, Darlene & Sam Bunnie, Albert Isaac and uncle Jimmy Isaac. 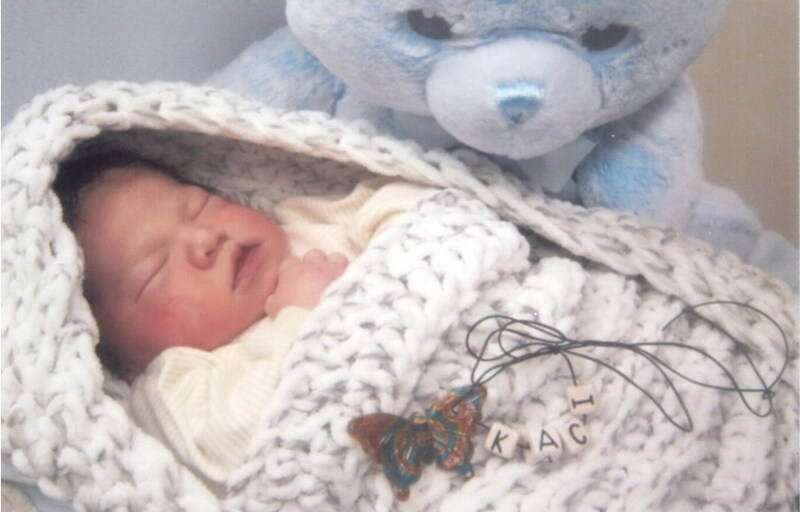 Kaci is survived by his loving parents, Leon Bunnie of Sakimay First Nation and Dayna Rose Isaac of Ochapowace First Nation. He also leaves to mourn his loving siblings that couldn’t wait to meet him, sister Destiny Isaac, brothers Jimmy (Jaycee), Davin (Lumberjack), Ivan (Doodles), his other brothers Isaiah and Kallum and sisters Keilia and Caydase; his loving grandparents John & Wanda Watson of Ochapowace, Evette & Jon Strongeagle, Dean Taypotat; numerous kookoms & mooshums, aunts, uncles & cousins. Wake will take places on Tuesday, February 5, 2019 at 4:00 p.m. in the Chief Denton George Multiplex, Ochapowace First Nation. Traditional Feast will begin at 11:00 a.m. followed by Funeral Service at 1:00 p.m. on Wednesday, February 6, 2019 in that same location. Family would like to thank all of you that have been such a great support to Dayna & Leon through this very difficult time. Arrangements entrusted to Conley Funeral Home, Fort Qu’Appelle & Raymore SK, 306-322-0555.